Brain surgery, much like rocket science, is supposed to be hard. And if we're to believe Kerbal Space Program (and I can't see why we wouldn't), then rocket science is hard. Really hard. Kill everyone in repeated ill-fated launches hard. 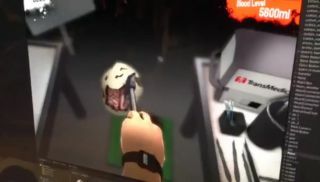 Conversely though, if we're to believe this prototype video for the upcoming full release of Surgeon Simulator 2013 (and again: can't see why we wouldn't), then brain surgery is a piece of cake. Or perhaps a piece of hard-boiled egg, delicately smashed in with a hammer. "This is by no means finished, and was simply a sneaky little video filmed over our developers shoulder while he was 'creating'," write Surgeon Simulator 2013 creators Bossa Studios in the video's description. "But we thought you might like to take a look!" "More locations: Emergency surgery in the back of a moving ambulance. "More surgical procedures: The patient is in need of a new brain. "More tools: Because a good surgeon needs more than just a hammer. "Achievements: Performing a heart transplant with a shard of glass is every surgeons ultimate goal." If you're yet to play the original, it's combines heart surgery, hilariously awkward controls, a gibbering protagonist and the Casualty theme tune. It's simultaneously bleak and funny. Mostly funny. You can play it in-browser here .